Nottinghamshire wicket keeper Tom Moores took the cricketing crown at the Nottingham Post Sports Awards in recognition of an outstanding season at Trent Bridge. Moores, who gained similar recognition at the Club’s award night last month, saw off competition from Harry Gurney and Steven Mullaney to take the prize. Accepting his award from Nottinghamshire great Tim Robinson, Moores was recognised for his consistency in a season in which he hit career best scores in all three formats, including his maiden First-Class century against Somerset at Taunton, whilst averaging over 30 with the bat in both the Vitality Blast and Royal London One-Day Cup. 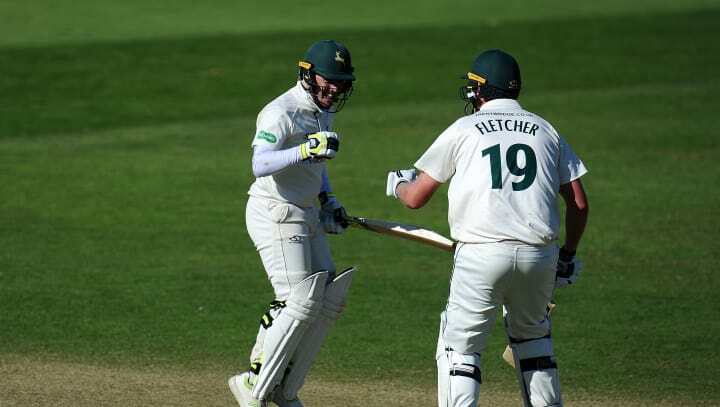 The 21-year-old was rewarded for his stellar year with a new contract from Nottinghamshire, which will see him remain at Trent Bridge for at least the next three years. Leading lights from Nottingham’s sporting scene were also recognised on the night with Jayne Torvill and Christopher Dean accepting the lifetime achievement award.